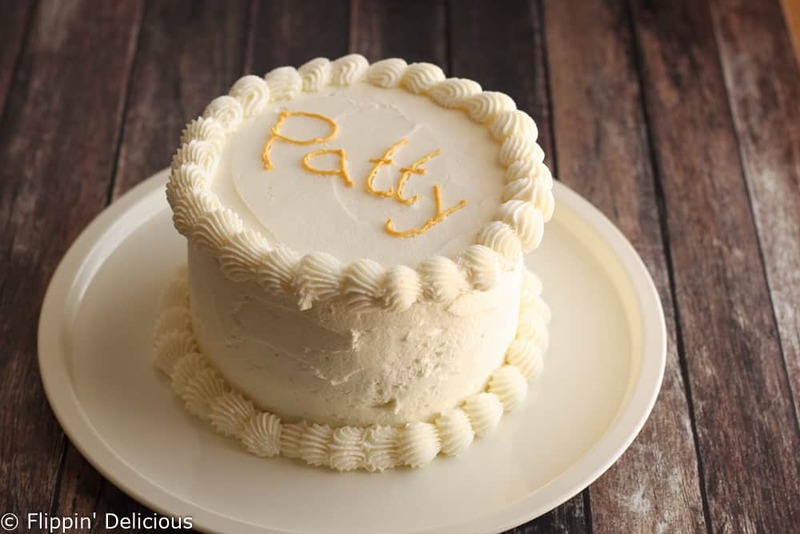 This Easy American Buttercream Frosting recipe will quickly become one of your favorites! 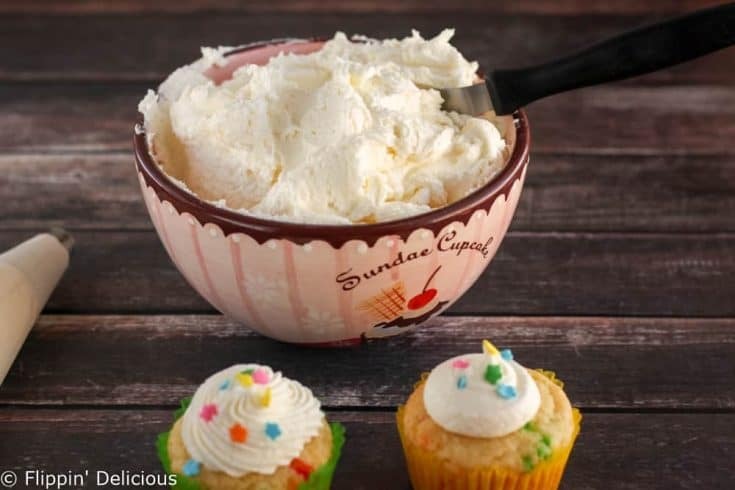 Just 4 ingredients and it is so creamy and fluffy! Naturally gluten free and a dairy free option. Measure your butter and sugar by weight. 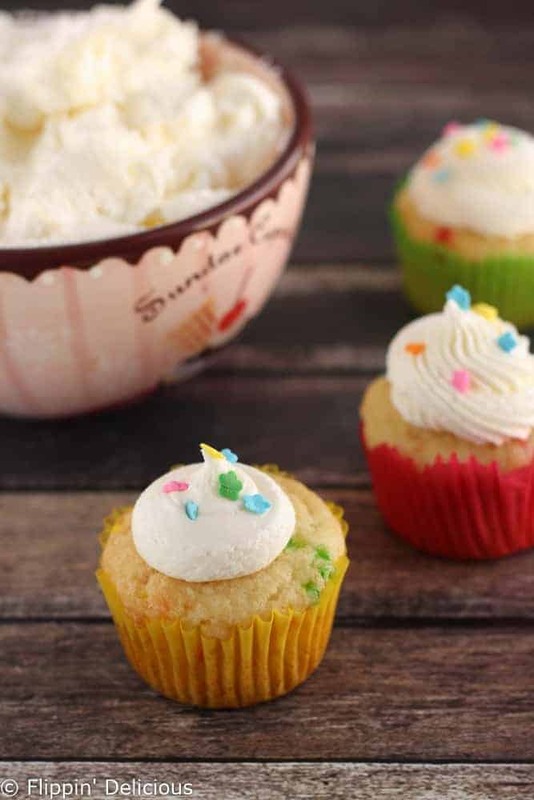 I make this easy homemade american buttercream frosting recipe ALL. OF. THE. TIME. It perfectly frosts cakes, cupcakes, and cookies. I use it on my gluten free soft frosted sugar cookies, my best gluten free devil’s food chocolate cake, and on the moist tender cake I bake using my gluten free white cake mix. It is so creamy and fluffy, buttery and rich but not too sweet. 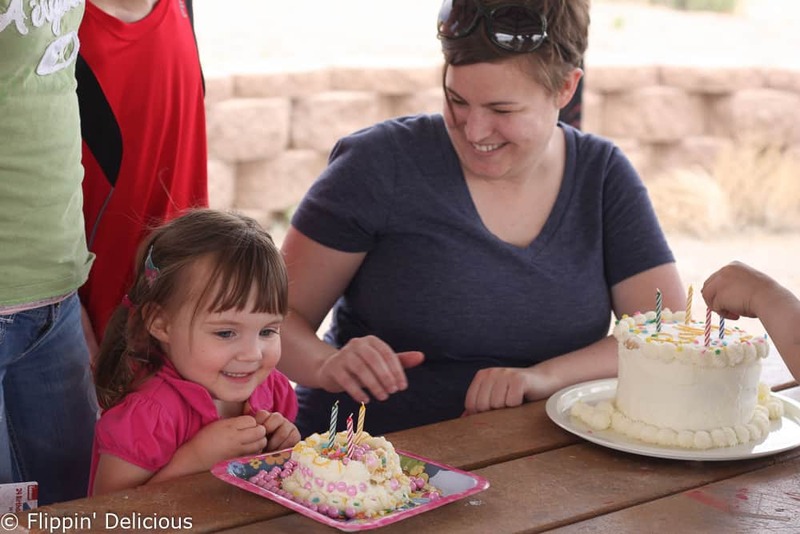 No celebration or birthday is complete without some buttercream frosting when I’m around. I’ve said it before, and I’ll say it again. Measuring by weight is the most accurate way to measure ingredients. Especially with powdery ingredients. You can get a drastically different amount of powdered sugar or flour in the same cup depending on how your scoop it. Measuring by weight significantly reduces the margin of error. Also, in this recipe, it makes it super simple because you have to do hardly any measuring at all! The formula for the perfect buttercream frosting is by weight, 1 part butter 2 parts powdered sugar(this will NOT work by volume.) Unless I’m working with a very small batch I use 1 lb of softened butter and a 2lb bag of powdered sugar. No measuring, scooping, or weighing. I just dump in the whole bag! Of course that makes a lot of frosting, enough to liberally frost a 4 layer cake or 4 dozen cupcakes. I’ll often make a half batch, which does require weighing the powdered sugar. The butter needs to be soft enough to beat, but not melty. If the butter is too warm the frosting won’t be stiff enough. You really need to whip the frosting. You must have electric beaters of some sort. A stand mixer is easiest, but a heavy-duty handheld mixer will work fine too. Whip the butter for a full 5 minutes before you add anything to it. 5 minutes! It will turn lighter and color and will get really fluffy. Then you add the powdered sugar, a little bit of milk or cream and a dash of vanilla. Beat it slowly to incorporate the powdered sugar (so you don’t have a snow covered kitchen) and then whip it for another 2-3 minutes. 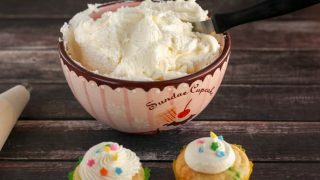 Now you know the secrets to the perfect easy homemade american buttercream frosting, so get to it. Put frosting on everything, and don’t forget the sprinkles! Easy American Buttercream Frosting Recipe with just 4 ingredients! Whip the butter using a stand mixer or heavy duty hand-held mixer for 5 minutes. It should be light in color, and very fluffy. Add the powdered sugar, vanilla extract, and 2 tablespoons cream or milk. Beat at a low speed to combine. If the frosting is still too thick add a little more cream or milk. Increase the speed and whip for another 2-3 minutes. 1 part by weight of butter to 2 parts by weight of powdered sugar. If you are using 1 stick of butter (1/4 lb or 4 oz) use 8 oz (by weight of powdered sugar.) 2 sticks of butter (1/2 lb or 8 oz) use 1/2 lb or 16 oz of butter. Use just enough cream or milk to bring it together, being careful not to use too much making the frosting too soft. Add it a little at a time.